A stunning novel of female friendship, forbidden love and evolution from the bestselling author of Girl with a Pearl Earring. In the early nineteenth century, a windswept beach along the English coast brims with fossils for those with the eye... From the moment she's struck by lightning as a baby, it is clear Mary Anning is different. Her discovery of strange fossilized creatures in the cliffs of Lyme Regis sets the world alight. But Mary must face powerful prejudice from a male scientific establishment, not to mention vicious gossip and the heartbreak of forbidden love. Then - in prickly, clever Elizabeth Philpot, a fossil-obsessed middle-class spinster - she finds a champion, and a rival. Despite their differences in class and age, Mary and Elizabeth's loyalty and passion for the truth must win out. 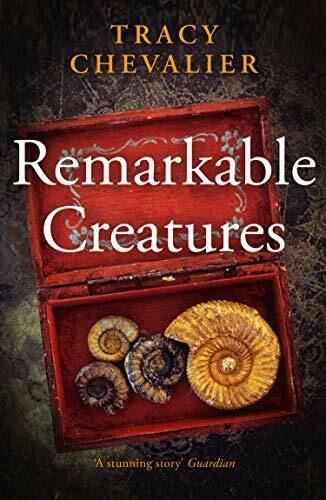 Remarkable Creatures is a stunning novel of how one woman's gift transcends class and gender to lead to some of the most important discoveries of the nineteenth century. Above all, it is a revealing portrait of the intricate and resilient nature of female friendship.